13 Nov 2018 – The future of ethical fashion is here: It’s now possible to grow leather without raising and killing animals. 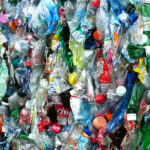 17 Apr 2018 – Researchers in the UK and the U.S. have inadvertently engineered an enzyme that eats up plastic. 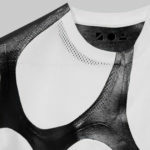 It is able to digest polyethylene terephthalate—the same material used in the ubiquitous plastic bottle that’s clogging up landfills, coastlines and oceans around the world. 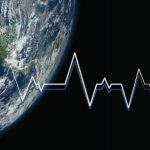 A chilling research paper —”World Scientists’ Warning to Humanity: A Second Notice”—was published in Nov 2017 in the journal Bioscience warning about the fate of humanity. It has received 20,000 signatures and endorsements from scientists from 184 countries and quickly became the largest-ever paper supported by scientists. 16 Mar 2018 – With the mass die-off of bees spelling trouble for agriculture, the world’s largest retailer has filed patents for the use of “unmanned vehicles,” or drones, to aid with pollination and crop production. 14 Mar 2018 – Stephen Hawking, one of the greatest minds on Earth, died peacefully at his home in Cambridge early today at the age of 76. 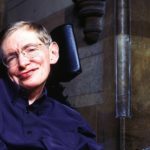 “I am not denying the importance of fighting climate change and global warming, unlike Donald Trump, who may just have taken the most serious, and wrong, decision on climate change this world has seen,” Hawking said last year about the Paris withdrawal. 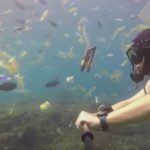 6 Mar 2018 – British diver Rich Horner posted footage of his plastic-infested swim off Bali’s Manta Point on Saturday [3 Mar]. 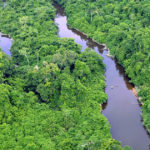 1 Dec 2017 – The World Wildlife Fund announced today that the Program for Protected Areas of the Amazon, a joint venture with the Brazilian Ministry of the Environment, has reached the goal of protecting at least 60 million hectares. This effort represents the conservation of 15 percent of the biome’s territory in Brazil. 17 Nov 2017 – Last month the U.S. Fish and Wildlife Service began issuing hunting permits for the import of lion trophies. 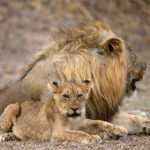 Although the USFSW announced Wednesday [15 Nov] it was lifting a ban on the import of elephant trophies, the new guidelines for importing sport-hunted lions have been quietly in effect since Oct. 20. 1 Nov 2017 – The largest tropical reforestation effort in history aims to restore 73 million trees in the Brazilian Amazon by 2023. The multimillion dollar, six-year project, led by Conservation International, spans 30,000 hectares of land—the equivalent of the size of 30,000 soccer fields, or nearly 70,000 acres. 2 Nov 2017 – Studies have previously tied higher rates of exposure to pesticides to decreased male fertility. But a new study from researchers at Harvard University takes a look specifically at women who are already undergoing infertility treatment. And the results seem to have surprised even the researchers. 24 Oct 2017 – In an unprecedented crackdown on pollution, the Chinese government shut down tens of thousands of factories in an effort to improve air quality throughout industrial regions in the country. 17 Oct 2017 – Wildfires have killed at least 39 people in Spain and Portugal since Sunday [15 Oct]. Sixty-four people died in a wildfire in Portugal in June, and the country has declared a state of emergency in the northern region. “We are facing new (weather) conditions” due to climate change, the Portuguese Interior Minister told the press, as she also referenced the fires blazing in California. 5 Oct 2017 – A new report from the World Wildlife Fund highlights how the livestock industry gobbles up a massive amount of land, leading to wide-scale biodiversity loss. Producing the animal feed for meat- and dairy-heavy Western diets uses up a lot of the planet’s precious resources. 19 Sep 2017 – The Dubai government has awarded a $3.9 billion contract to construct the 700-megawatt fourth and final phase of the world-record-holding Solar Park. The project also includes an 850-foot-tall solar tower that receives focused sunlight, the world’s tallest such structure. 17 Jul 2017 – Former nuclear industry senior vice president Arnie Gunderson, who managed and coordinated projects at 70 U.S. atomic power plants, thinks it simply makes no sense to hold the Olympics in Japan. “Holding the 2020 Olympics in Japan is an effort by the Japanese government to make these ongoing atomic reactor meltdowns disappear from the public eye. I discovered highly radioactive dust on Tokyo street corners in 2016.” According to him and other nuclear experts, the crisis is even worse. 5 Jul 2017 – Volvo Cars announced today that every car it launches from 2019 will have an electric motor, marking a “historic end” to the internal combustion engine. 21 Jun 2017 – I have asked repeatedly to have my short interview clip removed from this film. In my 10-second clip, I say that I am unaware of convincing evidence that eating GM foods is unsafe—this is what I said, but it is hugely out of context. Recently, researchers from Loma Linda University released a new study finding that if Americans simply replaced the beef in their diets with beans, the U.S. would immediately reach up to 75 percent of its greenhouse gas emissions reduction targets for 2020. 2 Jun 2017 – Dr. Christopher Portier, a toxicologist and former director of the U.S. National Center for Environmental Health, has criticized the conclusions of European Union agencies which found that glyphosate—the active ingredient in Monsanto’s widely used weedkiller Roundup—is not carcinogenic to humans. UN Secretary-General António Guterres said Tuesday [30 May] countries must “get on board or get left behind” with the agreement. While he steered clear of naming Donald Trump specifically in his speech at New York University’s Stern School of Business, Guterres told an audience member in a Q&A session that exiting the deal could have economic, social and security implications for any countries that choose to pull out. 10 May 2017 — Elon Musk announced via Twitter this morning that Tesla is opening orders for the company’s highly anticipated solar roof tiles. Musk said that the black smooth glass and textured glass tiles will be available for order. The Tuscan and French slate styles will be available in about six months. 11 May 2017 — Internet trolls, paid for by Monsanto, have been scouring the internet to hide the ugly truth about the herbicide Roundup and the dangers of glyphosate, while the chemical giant worked with government regulators to declare the product safe to use, even though it “probably” causes cancer. 4 May 2017 – Germany’s “Energiewende”—the country’s low-carbon energy revolution—turned another successful corner last weekend when renewable energy sources nearly stamped out coal and nuclear. Berkeley Energy is working to build a 50-100 megawatt solar farm right on top of the old coal mine. The project was announced on Tuesday [18 Apr]. “This is really a history-making project for the region,” said Ryan Johns, an executive with Berkeley Energy Group. 27 Mar 2017 – The majority of European Union governments voted against a proposal to authorize two new strains of genetically modified (GMO) maize today. 9 Mar 2017 – Two new reports published in recent weeks add to the already large and convincing body of evidence, accumulated over more than half a century, that agricultural pesticides and other toxic chemicals are poisoning us. Both reports issue scathing indictments of U.S. and global regulatory systems that collude with chemical companies to hide the truth from the public, while they fill their coffers with ill-gotten profits. The Prosper-Haniel coal mine will be converted into a 200 megawatt pumped-storage hydroelectric reservoir that acts like a giant battery. The capacity is enough to power more than 400,000 homes. The High Court of the Indian state of Uttarakhand ruled that the Ganges and Yamuna rivers and their tributaries are “legal and living entities having the status of a legal person with all corresponding rights, duties and liabilities.” The judges noted that the once-mighty rivers are “losing their very existence.” The decision marks the first time a court has recognized a non-human as a living entity in India. 24 Mar 2017 – Twenty eight years ago today the world experienced a massive wake-up call on the hazards and harms of oil spills when the Exxon Valdez oil tanker split open and poured oil into Alaskan waters. At the time, images of oil coated wildlife and a devastated ecosystem in one of the world’s most delicate, iconic and majestic environments drew global attention. Today, oil still lurks under the surface of Prince William Sound, impairing wildlife and human lives. Energy Transfer Partners, the company behind the Dakota Access Pipeline, is facing a familiar legal battle over its proposed Rover Pipeline. A Hare Krishna community in West Virginia is challenging the project on religious grounds, saying that the pipeline’s planned route could cut through sacred lands. 2 Mar 2017 – In the first comprehensive review of the more than 4,000 native bee species in North America and Hawaii, the Center for Biological Diversity has found that more than half the species with sufficient data to assess are declining. Nearly one in four is imperiled and at increasing risk of extinction. The Natural Resources Defense Council sued the Trump administration Tuesday [14 Feb 2017] for illegally suspending the rule to put the rusty patched bumble bee on the endangered species list. It has lost approximately 90 percent of its range in the past 20 years and is the first bumble bee ever listed under the Endangered Species Act. The EPA released its first rigorous nationwide analysis Wednesday [18 Jan] of the effects of pesticides on endangered species, finding that 97 percent of the more than 1,800 animals and plants protected under the Endangered Species Act are likely to be harmed by malathion and chlorpyrifos, two commonly used pesticides. Another 78 percent are likely to be hurt by the pesticide diazinon. The World Health Organization last year announced that malathion and diazinon are probable carcinogens. 27 Dec 2016 – Renewable energy has reached an important milestone. The World Economic Forum has determined that in many parts of the world, solar energy is now the same price or even cheaper than fossil fuels for the first time. 25 Oct 2016 – A new documentary produced and starring actor and activist Leonardo DiCaprio premieres in Los Angeles today and will be broadcast globally in 45 languages in 171 countries on the National Geographic Channel starting Oct. 30, timed to air in advance of the November elections. Norway has announced plans to kill more than two-thirds of its remaining wolves, justifying the action as protection for livestock. The plan has sparked outrage by conservationists. 11 Sep 2016 – Engaged in litigation on many fronts, Monsanto is trying to subvert India’s patent laws: Protection of Plant Variety and Farmers Right Act, Essential Commodities Act and Competition Act. It is behaving as if there is no Parliament, no democracy, no sovereign laws in India to which it is subject. Or it simply doesn’t have any regard for them. 3 Sep 2016 – Aerial spraying of the pesticide naled in a South Carolina county, done in an attempt to prevent Zika-infected mosquitoes from gaining a foothold in the state, resulted instead in the massacre of millions of honeybees. On one farm in Summerville, 46 hives were wiped out instantly, killing 2.5 million bees. In 1988, my then Hyannis Port neighbor the late Kurt Vonnegut wrote a prescient letter to the Earth’s planetary citizens of 2088 for Volkswagen’s TIME magazine ad campaign. His seven points of advice are perhaps more relevant today than at any time in human history. A radiation survey team, supported by the Greenpeace flagship Rainbow Warrior, conducted underwater survey along the Fukushima coastline from Feb. 21 to March 11 this year, as well collecting samples in river systems. The samples were measured at an independent laboratory in Tokyo. Leaked document from the EU reveals its intentions to include new, dangerous language in the proposed energy chapter of the Transatlantic Trade and Investment Partnership (TTIP). Glyphosate, the controversial main ingredient in Monsanto’s Roundup and other herbicides, is being connected to Lake Erie’s troubling algae blooms, which has fouled drinking water and suffocated and killed marine life in recent years. On Jun 24 2016, foreign oil company TransCanada filed a lawsuit against the U.S. under NAFTA, the North American Free Trade Agreement, arguing that the U.S. rejection of the Keystone XL pipeline violated NAFTA’s broad rights for foreign investors by thwarting the company’s “expectations.” As compensation, TransCanada is demanding more than $15 billion from U.S. taxpayers. 29 May 2016 – Glyphosate, labeled a “probable human carcinogen” by the World Health Organization’s cancer agency IARC in 2015, has now been revealed to be ubiquitous in the first ever comprehensive and validated LC/MS/MS testing project to be carried out across America. 29 May 2016 – More bad news for Quaker Oats. A random inspection from Taiwan’s Food and Drug Administration (FDA) detected glyphosate in 10 out of 36 oatmeal products it tested, exceeding the country’s legal limit. Will One of the World’s Most Endangered Whales Be Saved Before It’s Too Late? 13 May 2016 – Conservationists took legal action this week to get protection for one of the most endangered species of whales on Earth. At the time of their discovery, the best estimate of their population put their number at fewer than 50 individuals, which raised concerns that they are one of the most endangered whales on earth who will likely disappear entirely without intervention. On Tuesday [10 May] the Bee Informed Partnership, in collaboration with the Apiary Inspectors of America and the U.S. Department of Agriculture, released its annual report on honey bee losses in the U.S. Beekeepers reported losing 44 percent of their total number of colonies managed over the last year. These losses are considered too high to be sustainable for U.S. agriculture and the beekeeping industry. 3 May 2016 – Starting today, a global wave of peaceful direct actions lasting for 12 days will take place across six continents targeting the world’s most dangerous fossil fuel projects, under the banner of Break Free. As the Solar Impulse 2 made its historic 62-hour flight from Hawaii to California without fuel, pilot Bertrand Piccard personally saw the horrific amount of plastic in our oceans.While flying above the Great Pacific Garbage Patch, Piccard sent out a tweet to Boyan Slat, the 21-year-old founder and CEO of The Ocean Cleanup. Test results from Microbe Inotech Lab show 10 different wines contained glyphosate, the active ingredient in Monsanto’s Roundup weedkiller, including wine made with organic grapes. From Berlin to Bangalore to London, people all over are shacking up in shipping containers. And now a Copenhagen-based container architecture firm has designed the “CPH Village,” a planned shipping container structure aimed to help solve the area’s student housing shortage. For years, the Sierra Club has reported on and campaigned against the TPP’s threats to our air, water, climate, families and communities. The U.S. Trade Representative is gambling away our jobs, our clean air and water, and our future by pushing the polluter-friendly Trans-Pacific Partnership, so it only makes sense that it was signed in a casino and convention center. With Tax Incentives’ Renewal, Expect More of the Same in Years to Come – The truth is, 2015 has been one in a series of very good years for these pollution-free, renewable resources—years that are helping us get on track for the low-carbon future we need and need now. 12 Dec 2015 – World leaders from 195 countries adopted an historic international climate accord Saturday [12 Dec] in Paris. The 31-page pact, which comes after two weeks of negotiations at the COP21 climate summit, is the first-ever agreement that commits almost every country in the world to fight climate change. 9 Nov 2015 – Two separate court decisions in Mexico have blocked cultivation of Monsanto’s genetically modified corn in the country and soy in two states. Roughly 8 million tons of plastic is dumped into the world’s oceans every year, and according to a new study, the majority of this waste comes from just five countries: China, Indonesia, the Philippines, Thailand and Vietnam. The 19 countries opting out are: Austria, Belgium for the Wallonia region, Britain for Scotland, Wales and Northern Ireland, Bulgaria, Croatia, Cyprus, Denmark, France, Germany, Greece, Hungary, Italy, Latvia, Lithuania, Luxembourg, Malta, the Netherlands, Poland and Slovenia. 9 Oct 2015 – Monsanto is on the defensive after the agricultural giant was sued by two U.S. farm workers who claim that glyphosate—the primary ingredient in Monsanto’s weedkiller, Roundup—caused their cancers. Lativia and Greece have chosen the “opt-out” clause of a European Union rule passed in March. Scotland and Germany made headlines in recent weeks for seeking a similar ban on GMOs. 23 Jul 2015 – A recent photograph of less-than-perfect daisies near Japan’s Fukushima nuclear disaster site is generating headlines and is making the rounds on social media. People developed this herbicide called glyphosate that kills all the weeds, and kills all of everything except the plants that have this cool gene in them that allows them to grow right through it. So we accidentally have decimated the monarch butterfly population, reduced it over the last two decades by 90 percent. 7 Jul 2015 – The best way to prevent anxiety—and the stress-induced bellyache that comes along with it—may be to balance your gut bacteria. Eating probiotic-rich fermented foods is associated with less social anxiety, according to a new study published in Psychiatry Research. 22 Jun 2015 – Japan officially unveiled today its 7 megawatt (MW) wind turbine, the world’s largest offshore turbine to date. It is slated to be operational by September. 23 Jun 2015 – Need proof that we’re having the hottest year on record? Scorching heat is searing parts of the world, sparking wildfires and claiming lives due to heat stroke and dehydration. 18 Jun 2015 – Today in Rome, Pope Francis released his long-anticipated encyclical on climate change, fueling precisely the international conversation the Pope hoped to drive. The widespread media coverage of the 180-plus page document, Laudato Si, or Praised Be to You, has undoubtedly increased public awareness of environmental issues dramatically. 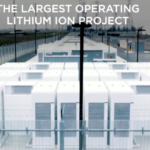 12 Jun 2015 – Its only been a month since Elon Musk unveiled a suite of batteries to help wean the world off fossil fuels. And now, the Tesla CEO is already upping the ante with the Powerwall, a home battery that charges using electricity generated from solar power. According to the latest annual government study, U.S. beekeepers reported losing 42.1 percent of the total number of colonies managed from April 2014 through April 2015, much higher than the 34.2 percent from the year prior. 11 May 2015 – The Obama administration gave conditional approval today to Shell to start drilling for oil and gas in the Arctic Ocean this summer. Shell has been fighting for the right to drill in the Arctic for years, despite a number of botched forays in recent years, and it looks like they are still going to get their way. 11 Mar 2015 – Fukushima’s Anniversary Should Remind Us Nuclear Power Poses Threat to Human Survival – The catastrophe that began at Fukushima four years ago today is worse than ever. But the good news can ultimately transcend the bad—if we make it so. America’s solar energy industry, which continues to grow at a very brisk pace, now has more employees than tech giants Apple, Google, Facebook and Twitter combined. And to top it all off, 2014 turned out to be another record-shattering year! There is no justification for the enslavement of animals. None. There never has been and there never can be. Slavery is slavery—unjustifiable, cruel, evil and soul-destroying, both for the victims and the oppressors. Circuses and places like SeaWorld are despicable places, and the only zoos that should exist are those that rehabilitate wildlife, contribute to the conservation of habitat and provide medical facilities for animals in the wild. Mountaintop removal is not only environmentally destructive; it is also responsible for lung cancer among coal miners and the loss of many jobs in the coal industry. This is a lot of ammunition for environmentalists to use to help end this landscape devastation. The conflict between “free trade” and food rights came to the fore again at the WTO negotiations in September , when India did not back down from its stance that a permanent solution be found for food security issues before signing the Trade Facilitation Agreement. It would be tough to think of any disgusting, gutless acts that aren’t featured in new videos about brutal sheep shearing in Australia and the U.S., produced by People for the Ethical Treatment of Animals (PETA). A large solar power plant is coming to Chile’s Atacama Desert, and the U.S. is providing financial support to make it happen. Bees may be small, but they play a big role in human health and survival. 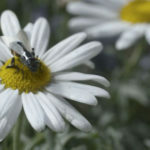 The insects pollinate everything from apples and zucchini to blueberries and almonds. If bees and other pollinators are at risk, entire terrestrial ecosystems are at risk, and so are we. Honeybees in the U.S. are dying at a rate too high to ensure their long-term survival, according to a new report from the U.S. Department of Agriculture. In the early hours of Tuesday [27 May 2014] morning, Greenpeace activists from 12 countries blocked two separate oil rigs destined for offshore drilling in the Arctic Ocean. McDonald’s french fries are suspected of killing farm animals and poisoning wildlife and Minnesotans, including students and farmers. The study, coming out in June’s  issue of Food Chemistry and available online, looked at 31 different soybean plants on Iowa farms and compared the accumulation of pesticides and herbicides on plants in three categories. SeaWorld has faced intense criticism since the release of Blackfish, a documentary telling the story of orca whales kept in captivity at SeaWorld theme parks. Now court documents reveal that SeaWorld is pumping these marine animals full of psychotropic drugs. With spring upon us, it’s a perfect time to think about what we can plant to help save the bees. Here’s a list of 15 plants to consider if you’d like to help. Whale and Dolphin Conservation released a new report [23 Mar 2014] which highlights the global scale of killing and trade in whales in the twenty-first century. WDC demonstrates that consumption of whale and dolphin meat and by-products is not confined to just a few nations, as many believe. Electric buses have been rolled out at trade shows in recent years, but a suburb of São Paulo, Brazil began picking up riders earlier this month in what officials say is the world’s first battery-powered public transit bus. “After the Chernobyl disaster children were diagnosed many years later,” she told the BBC. “My boys may be fine now, but if there is any risk I need to find out as soon as possible.” She’s not comfortable relying on the government for information. Just two weeks ago, Japanese officials announced plans to restart reactors that were closed after the incident, calling nuclear energy a “vital source” of power.